WRAAE FOLTING POULSEN, Finn and SKOV ANDREASEN, Kent (2018) Bookeaters Magazine - Connecting Libraries, Bookbloggers, Readers and Publishers. Paper presented at: IFLA WLIC 2018 – Kuala Lumpur, Malaysia – Transform Libraries, Transform Societies in Session 153 - Poster Session. 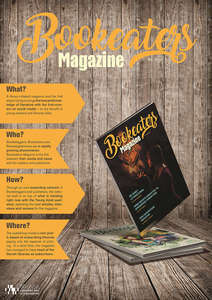 The Poster from Odense Libraries presents: Bookeaters Magazine - Connecting Libraries, Bookbloggers, Readers and Publishers A library-initiated magazine connection Libraries, Bookbloggers, Readers and Publishers is the first step trying to merge the love and knowledge of literature to the benefit of young readers and libraries alike. 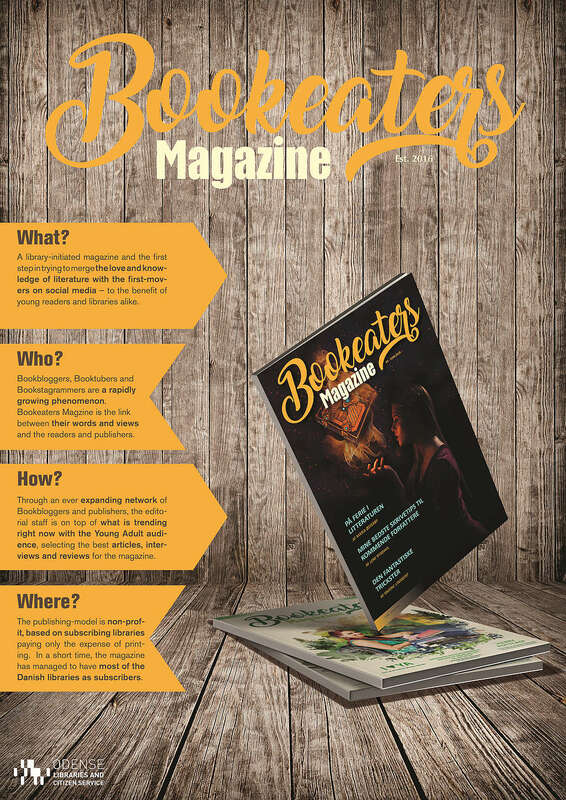 “Bookeaters Magazine” targets young adult readers through vibrant layout and trendy content. Editorial staff is a mixture of bookbloggers, college students and librarians, using the huge virtual reader-network within the target audience. Contributions are voluntary and non-paid. For Odense Libraries and me it is crucial that you work constantly with new ways of promoting and rethinking the library services. I love to make aimed projects integrating and including costumers and target groups – here the young new and enthusiastic readers of literature, thus creating a new type of community around literature.